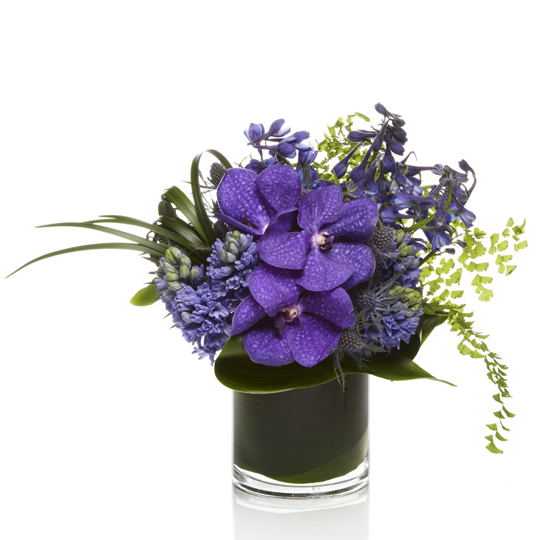 A stunning arrangement featuring vibrant purple orchids and hyacinth. Accented with thistle and seasonal lavender blooms. Florist arranged with grass looping details and modern greens in a premium glass vase. Sorry! This product is currently not available for the zip code you have selected. Please return to the Store Page.